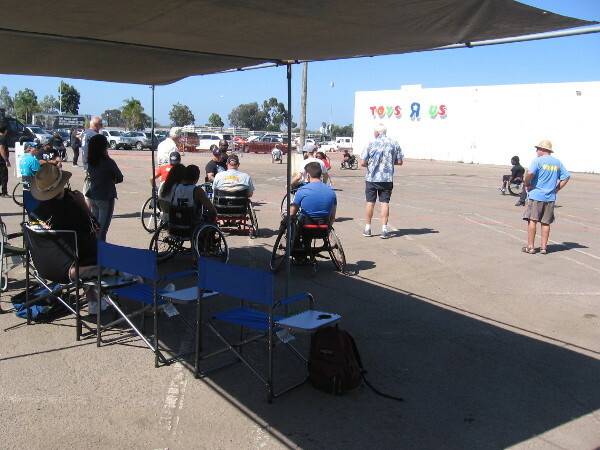 disability – Cool San Diego Sights! The miracle of baseball for special needs kids! 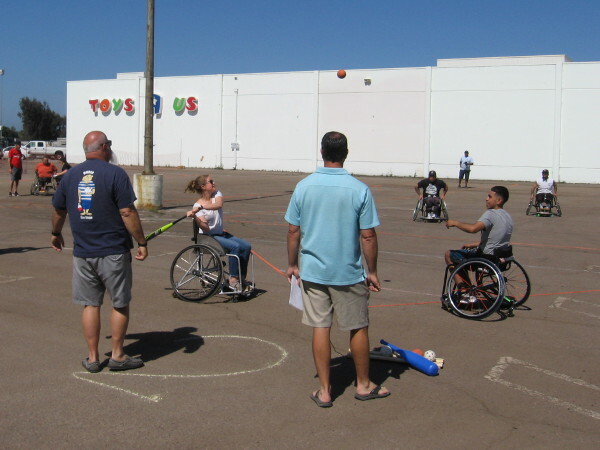 These guys with The Miracle League of San Diego help make dreams come true for special needs kids who love baseball! I met some inspirational people today. 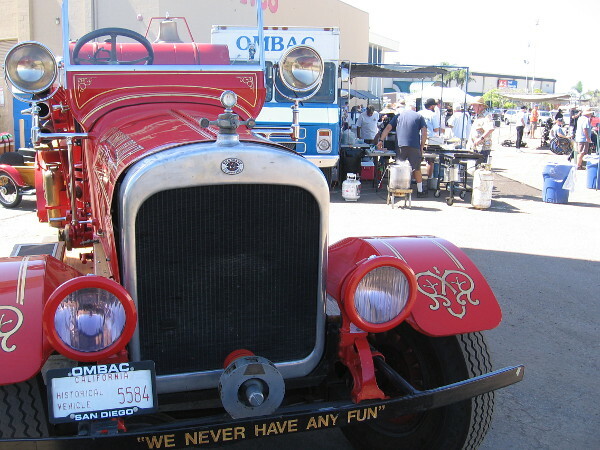 During my visit to the 22nd Annual Lemon Festival in Chula Vista, as I walked down Third Avenue past dozens of booths, my eye was caught by a banner with the words Miracle League. 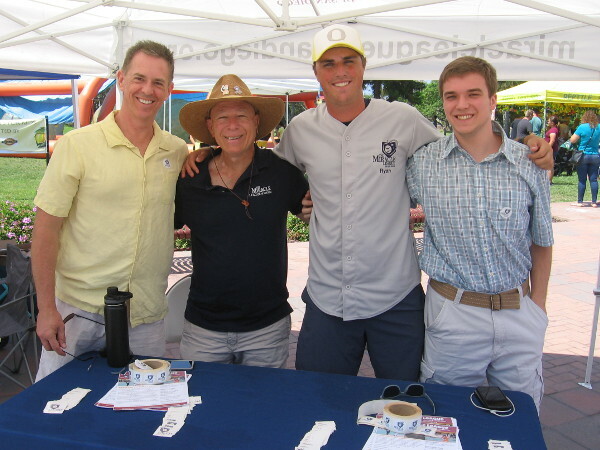 When I asked what that meant, four friendly guys explained how their organization, called The Miracle League of San Diego, provides special needs kids around San Diego County with the opportunity to play baseball! 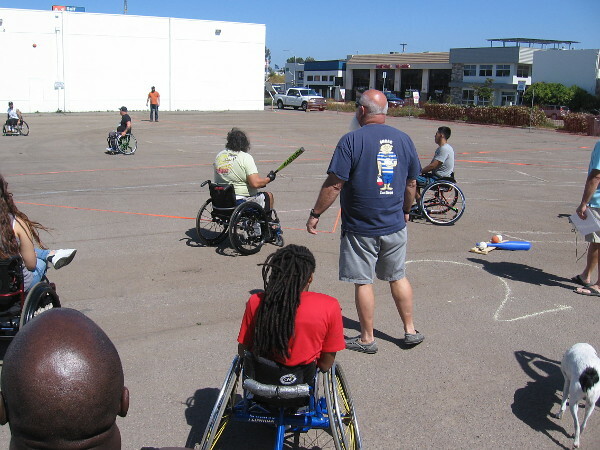 Special needs players, with the assistance of volunteer buddies, play on special rubberized baseball fields at Engel Family Field in Del Mar and at Bell Middle School. 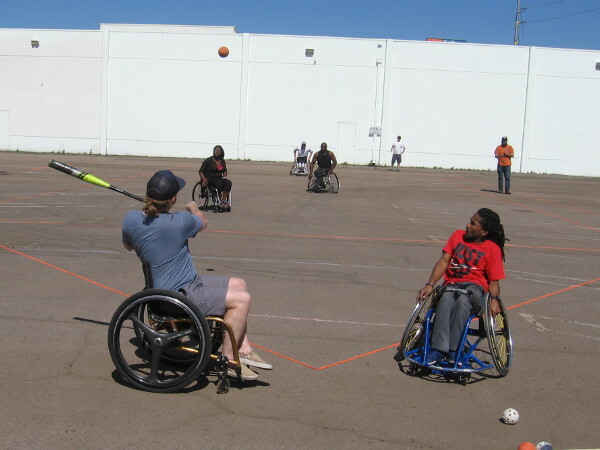 The unique playing fields accommodate wheelchairs, walkers and the sight-impaired. Players and buddies are matched for an entire Spring or Fall season, and every player scores in fun two inning games that end in a tie. Players are ages five and up. Buddies are kind, patient community volunteers! 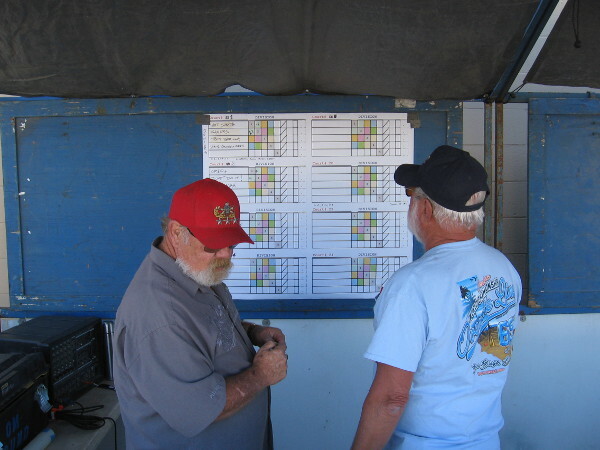 According to The Miracle League of San Diego website, announcers are provided with index cards about each player so they have ample material to highlight every at bat. Special needs kids become baseball superstars! Do you know a special needs kid who’d love to play baseball? 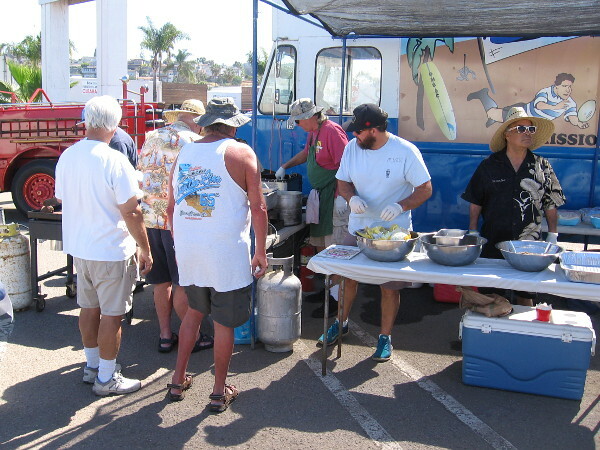 Would you like to be a volunteer buddy? Do you want to learn more? 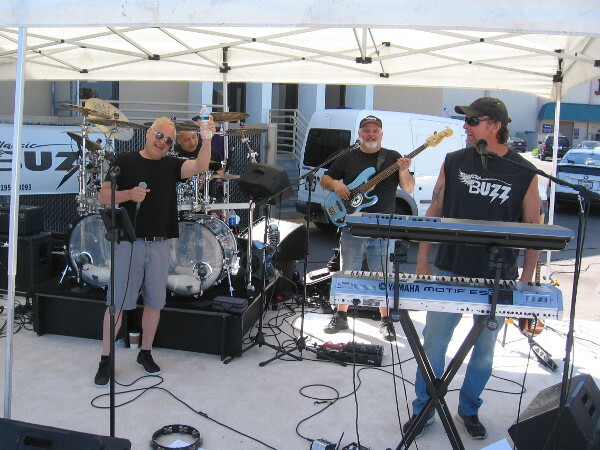 Click to visit their website here! 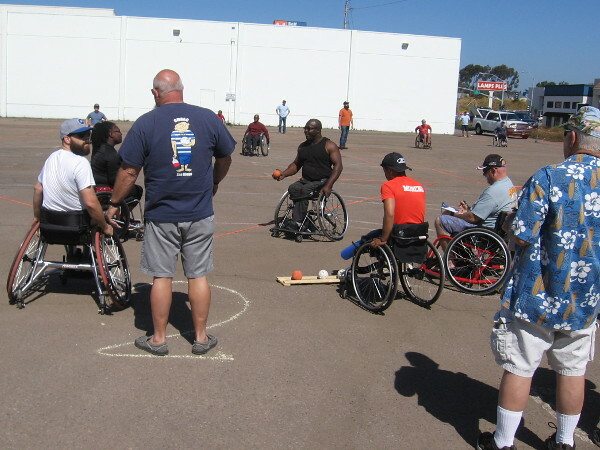 Posted on August 5, 2018 Tags baseball, charity, children, compassion, disability, happy, heart, inspiration, kids, miracles, san diego, southern california, sports, volunteeringLeave a comment on The miracle of baseball for special needs kids! 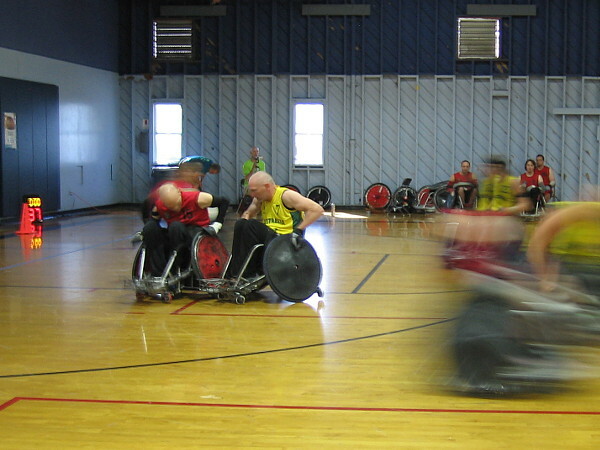 Strength and determination in wheelchair rugby. Today I watched some of the world’s best athletes compete. 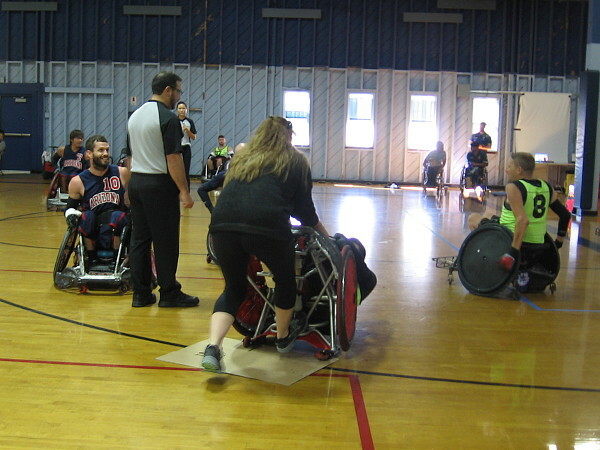 I headed up to Balboa Park to experience the 28th Annual Best of the West Quad Rugby Tournament in the Municipal Gymnasium. 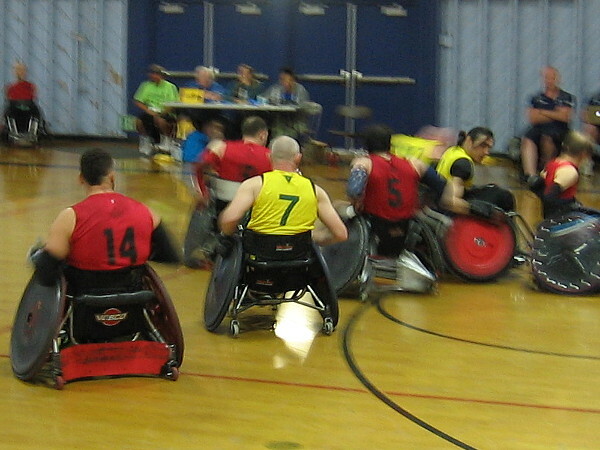 Most people know the sport as wheelchair rugby, or murderball. That last name sounds rather tough, but it’s for a good reason. 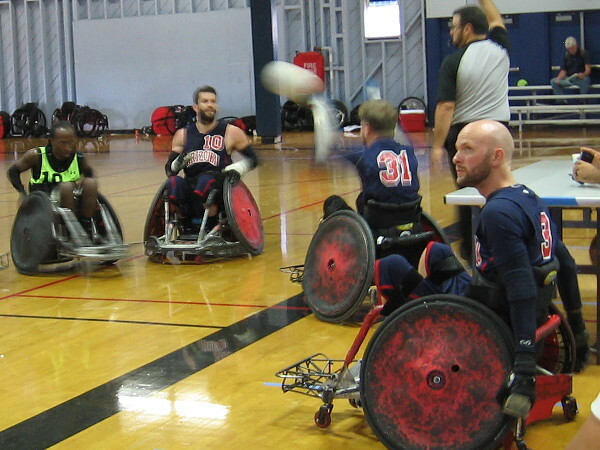 The quad rugby players that participated in this tournament are among the best in the world. 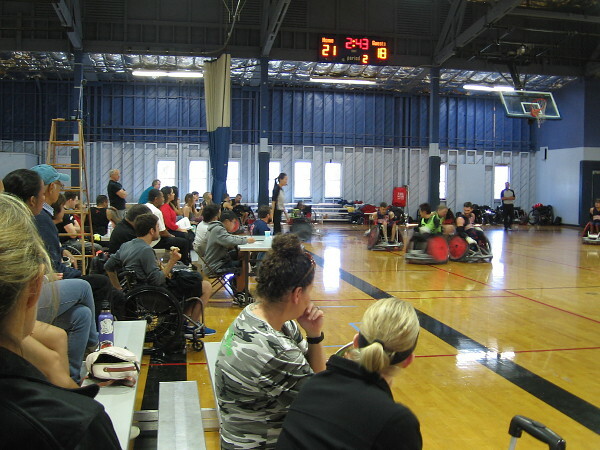 Some have competed in the Paralympic Games. 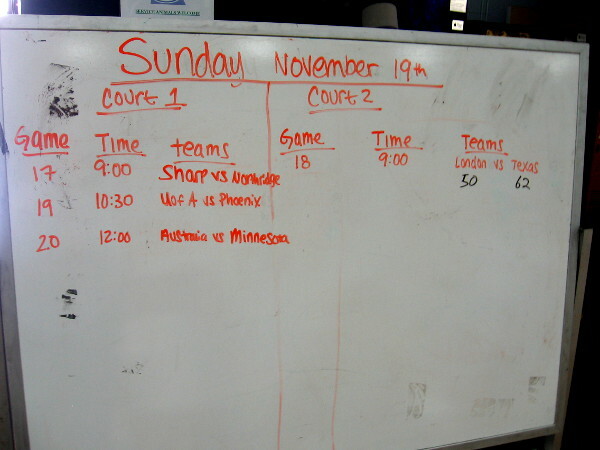 There were teams from California, Arizona, Texas and Minnesota, and even from London and Australia. 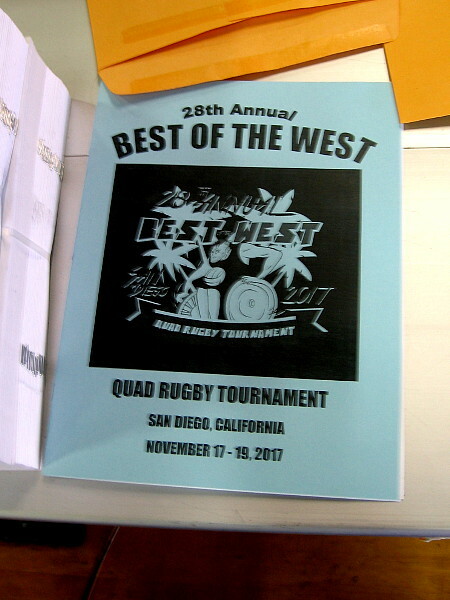 The amazing team from Australia was this year’s Best of the West champion. 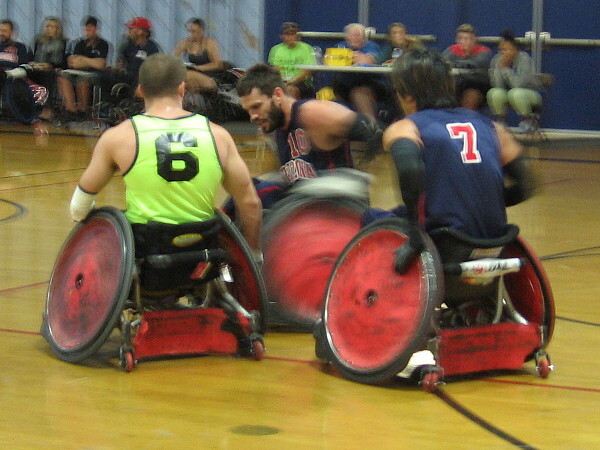 At the very top level, wheelchair rugby players are unbelievable athletes. They are strong, fast, agile, and can turn and accelerate on a dime. To block opposing players, trap them defensively, or upset an unfolding strategy, players will literally smash their chairs into one another. 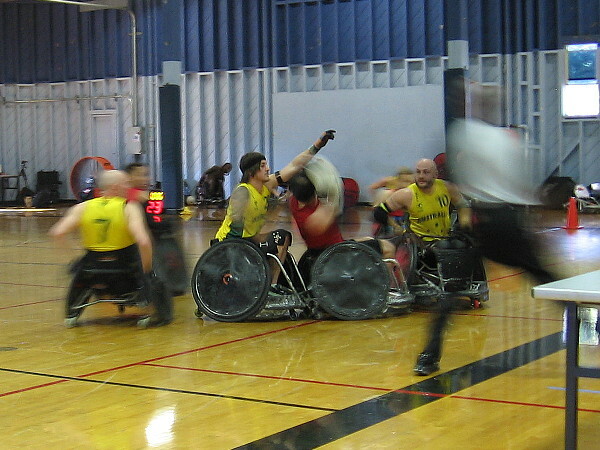 As if in some sort of crazy demolition derby, the bashing wheelchairs sometimes tip sideways, even turn over. And the players don’t seem fazed in the least. Each is an irresistible force, determined to assist their teammates and find a way through the opposition to score, no matter how. Here are a few photos that capture a bit of the action. The composition of one photograph turned out to be exceptionally dynamic, but the image was completely unfocused, so I altered it to appear like a cool oil painting. 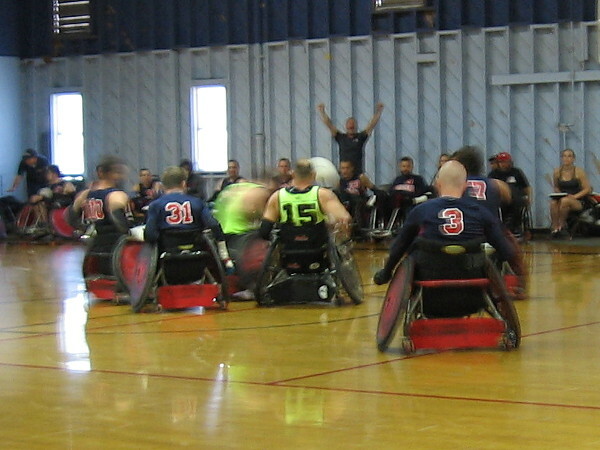 You really have to see quad rugby in person to appreciate the heart of these players. Raw human determination can be unstoppable. 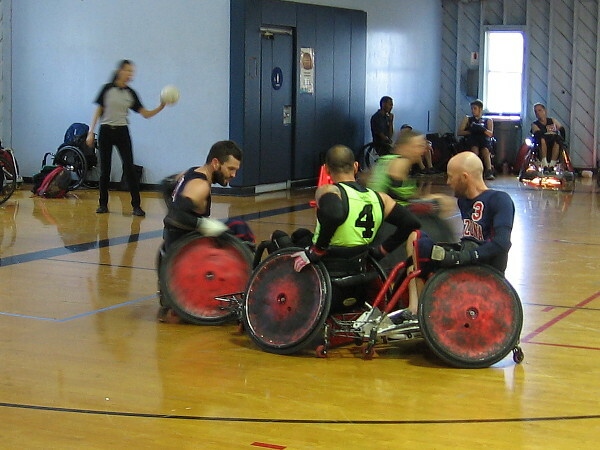 Watching quad rugby is inspirational. 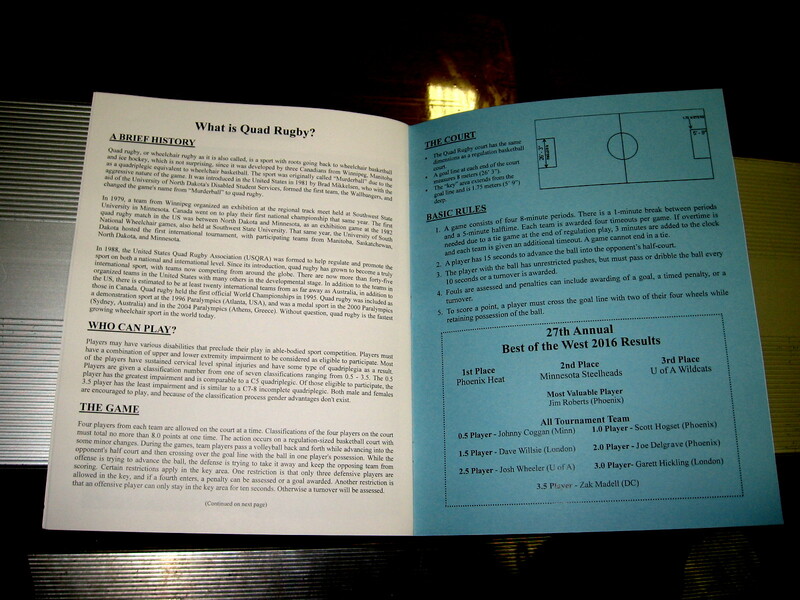 For an explanation of quad rugby, click this photo and it will expand for easy reading. 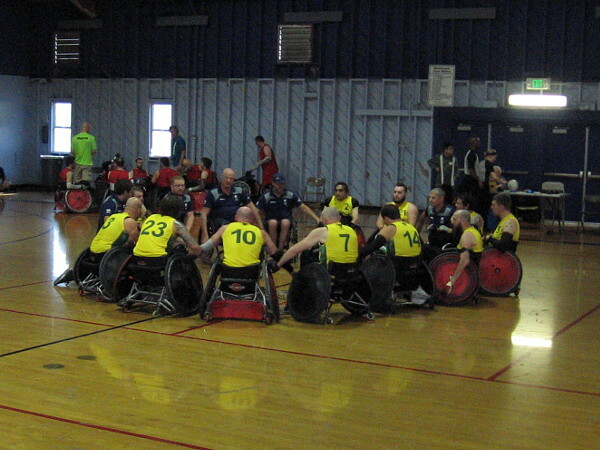 The Australian quad rugby team celebrated their championship by forming a circle, joining hands and rocking the gymnasium with a spirited, victorious shout! 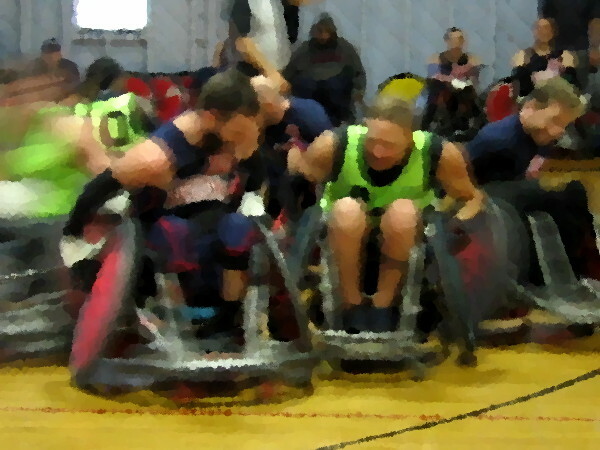 Posted on November 19, 2017 Tags amazing, athletes, balboa park, courage, disability, events, games, heart, inspiration, passion, photography, quad rugby, san diego, sportsLeave a comment on Strength and determination in wheelchair rugby. 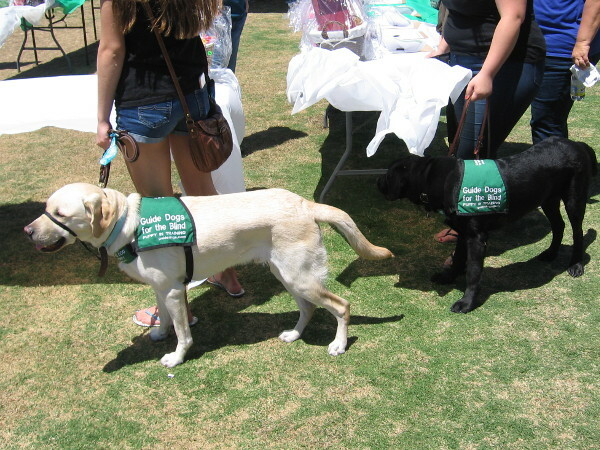 Guide dogs for the blind in San Diego! 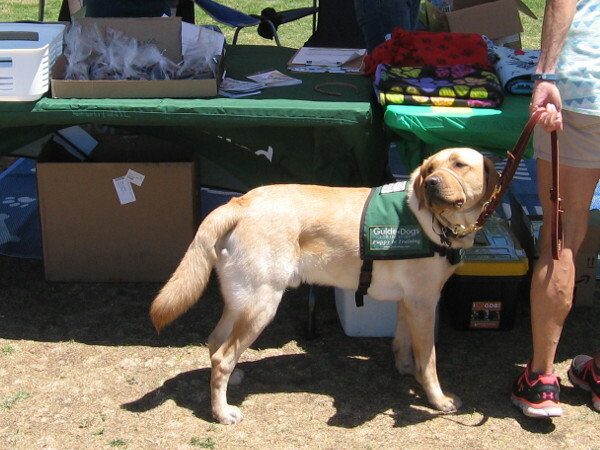 Loving, intelligent guide dogs and their trainers attend a special event in San Diego. 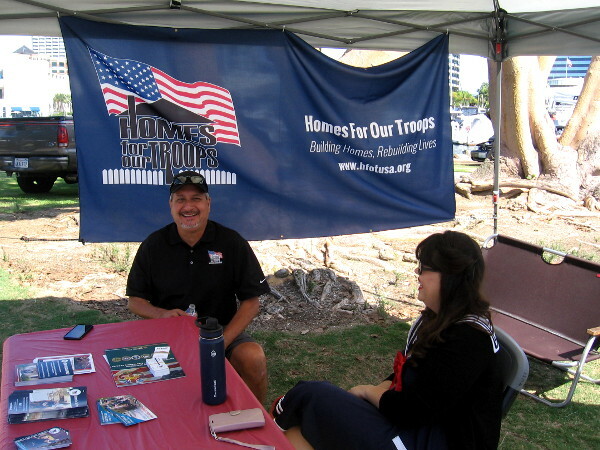 During my walk today I came across a special event taking place at Embarcadero Marina Park North. 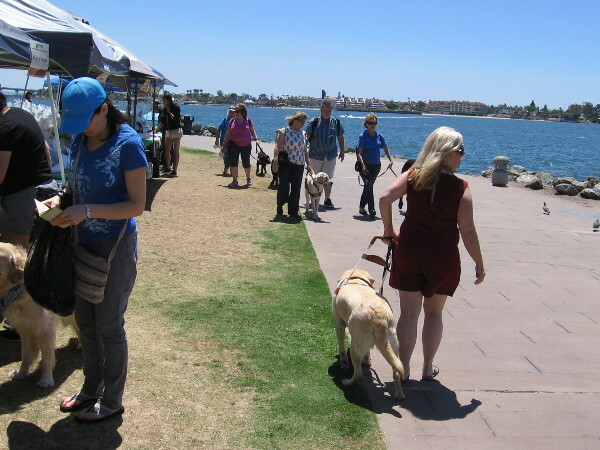 A local group representing Guide Dogs for the Blind was having a gathering by San Diego Bay! I was impressed at how loving and intelligent the guide dogs all were. I asked where people could go to learn more about possibly raising a guide dog, and was told to check out this website! According to a handout I received, Guide Dogs for the Blind was created in 1942 to aid servicemen blinded in World War II. 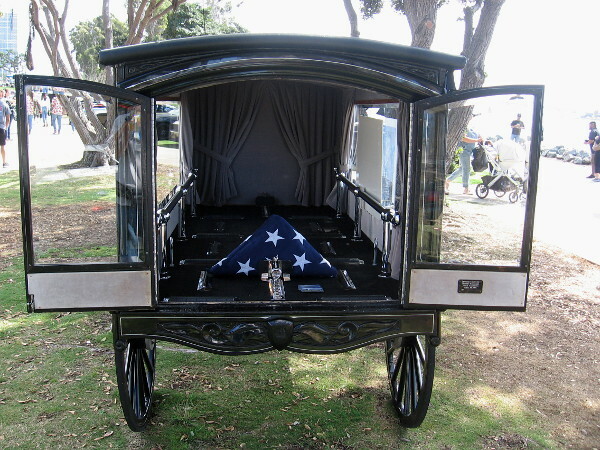 I also learned their services are offered free to people throughout the United States and Canada. If you know someone who is blind or visually impaired, tell them about Guide Dogs for the Blind! Or check out their puppy raising program! 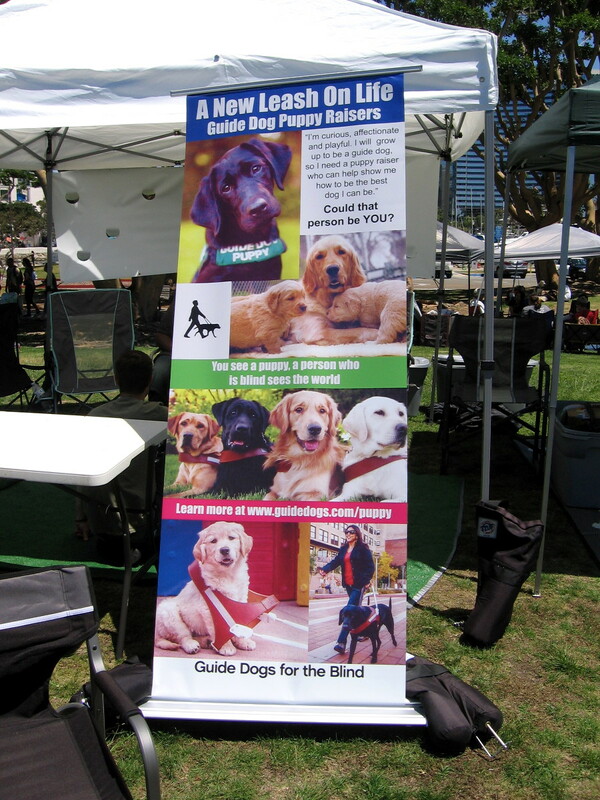 Guide Dogs for the Blind had a special gathering today at Embarcadero Marina Park North. You see a puppy, a person who is blind sees the world. This best friend can make a difficult life much better. Guide Dogs for the Blind. Raise a puppy. Change a life. 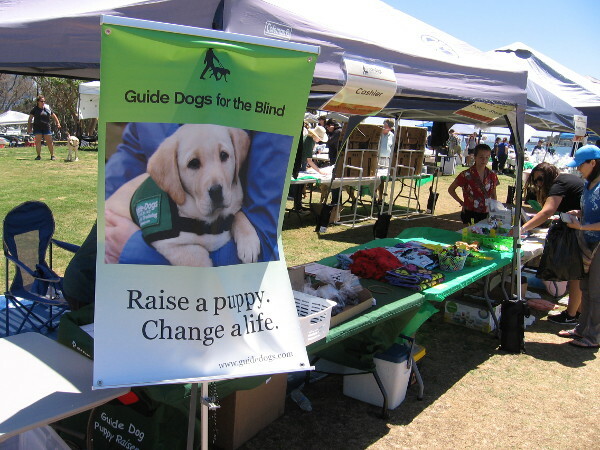 Posted on April 29, 2017 April 29, 2017 Tags animals, charity, compassion, disability, dogs, embarcadero marina park, heart, hope, life, love, people, pets, san diego, volunteering4 Comments on Guide dogs for the blind in San Diego! 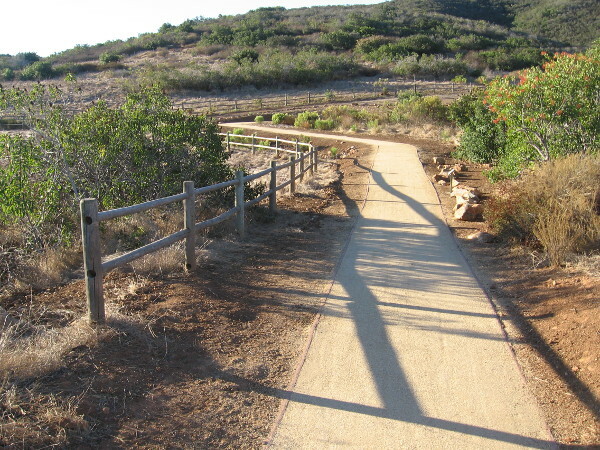 Beautiful San Diego hiking trail welcomes wheelchairs. 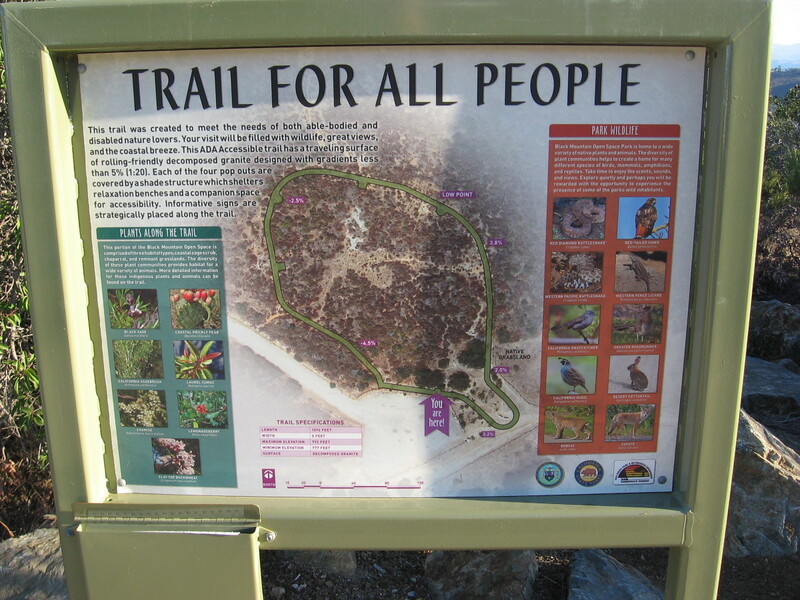 Wheelchairs are welcome on the beautiful Jas Arnold Trail For All People in Black Mountain Open Space Park. 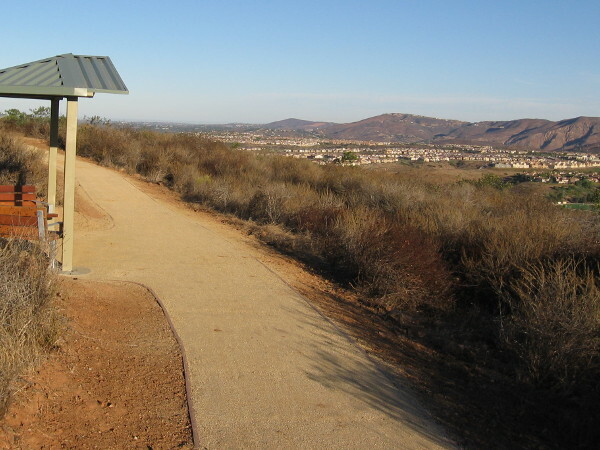 A hiking trail that welcomes wheelchairs recently opened in San Diego’s North County. 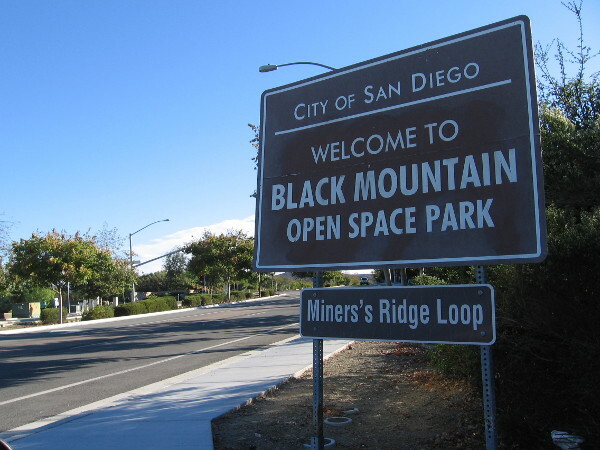 It’s called the Jas Arnold Trail For All People, and it’s located in the Black Mountain Open Space Park. This morning I walked the short loop for the first time. What a wonderful place. Peaceful, a bit meandering, easily accessible, with pleasant views into the sunlit distance, fresh air, the scent of sage, the sound of birds–it’s a fine place that one can explore at a easy pace and just relax–a place to feel energized, spiritually whole and free. Here are some photographs. To read the signs, click the images and they will enlarge. This morning I spotted a shy rabbit, a curious scrub jay and a cheerful young mockingbird. 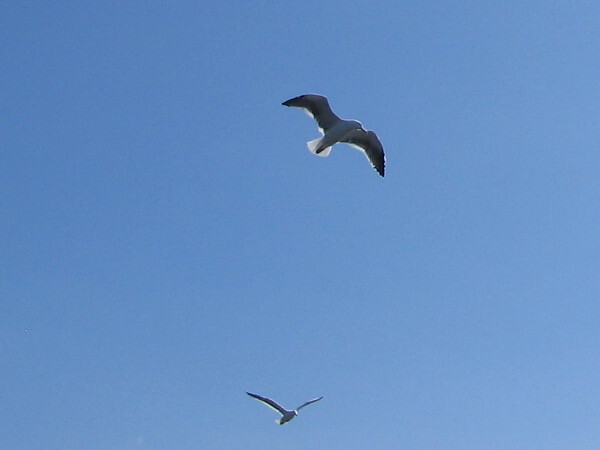 And a bunch of small flitting birds that I couldn’t identify. The Trail For All People is a 1076 feet long, nearly level loop. The elevation runs between 777 and 792 feet. 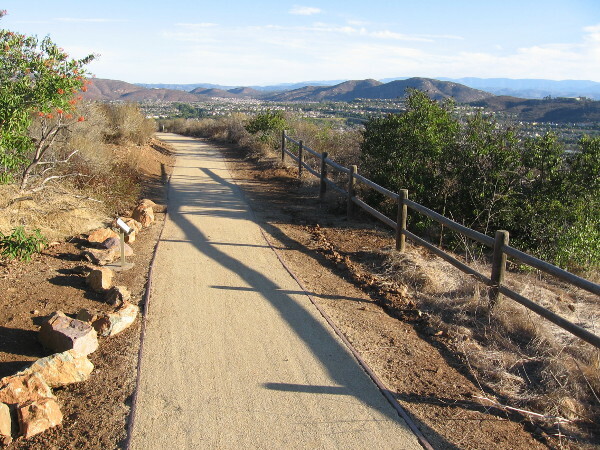 The five foot wide hiking trail’s decomposed granite surface is very easily navigated on wheels or by foot. 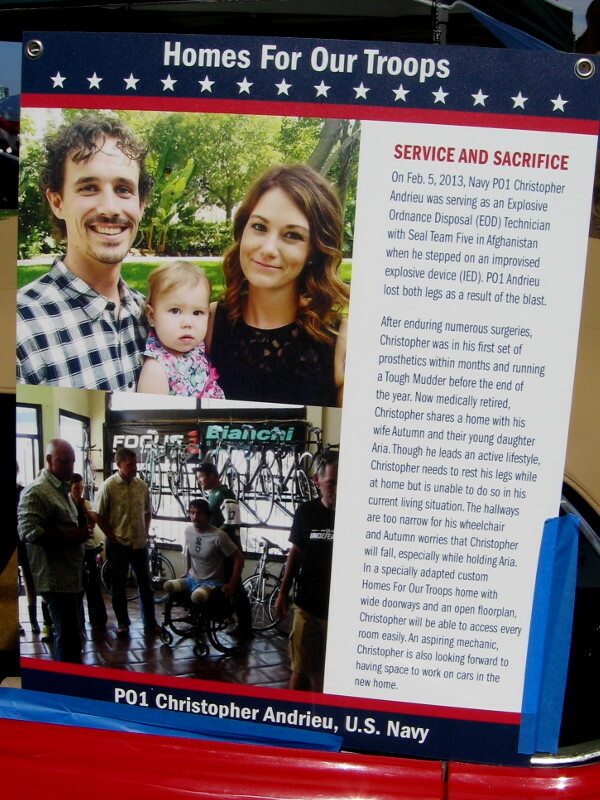 Those in a wheelchair who love nature and the outdoors should definitely check it out! On warm days, make sure to bring water! Enjoy! To find the trailhead for the Trail For All People, turn off of Carmel Valley Road at this sign, just south of the traffic light at Valle Del Sur Court. 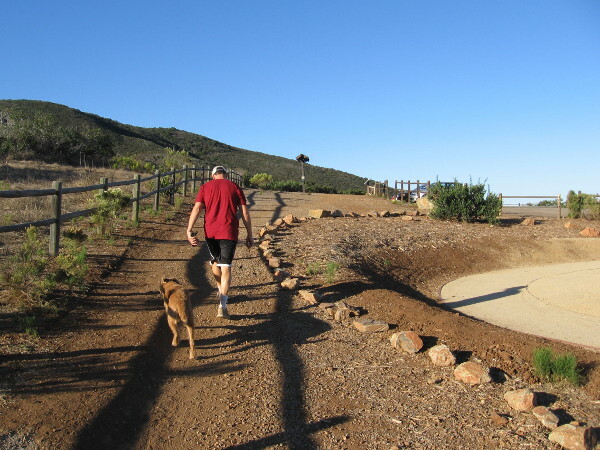 Early morning walker with dog on the Miner’s Ridge Loop Trail, across a parking lot from the Trail For All People. 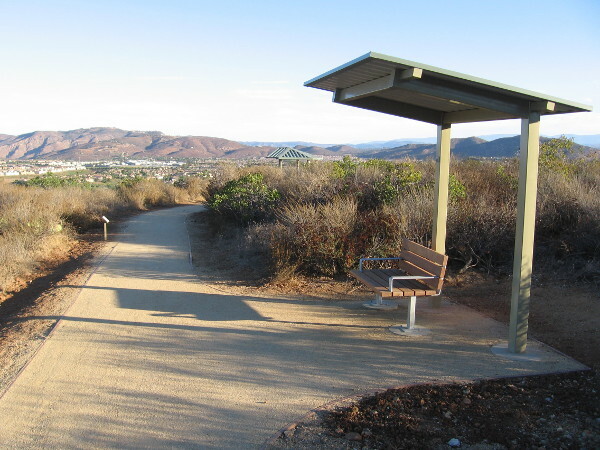 The Jas Arnold Trail For All People is an ADA Accessible loop composed of wheelchair-friendly decomposed granite. Four small shelters provide shade for those enjoying the views. 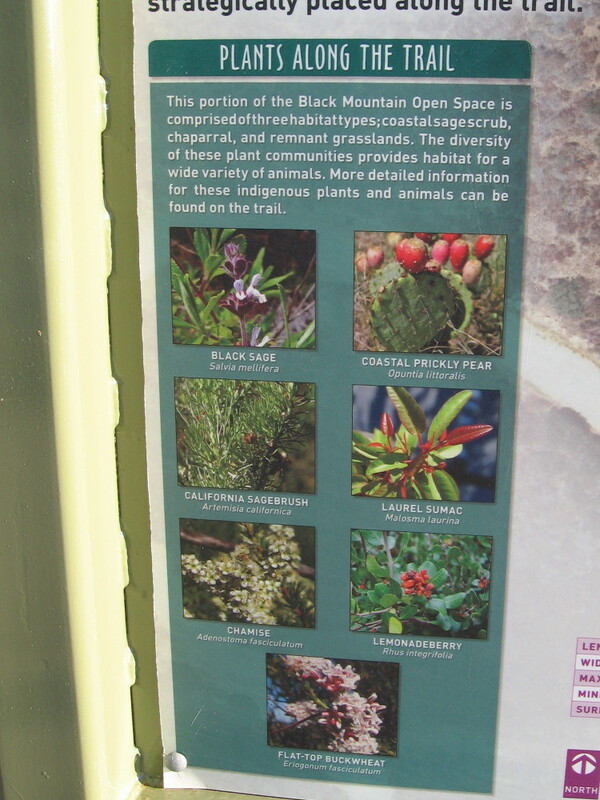 Native plants along the trail include Black Sage, Coastal Prickly Pear, California Sagebrush, Laurel Sumac, Chamise, Lemonadeberry and Flat-top Buckwheat. 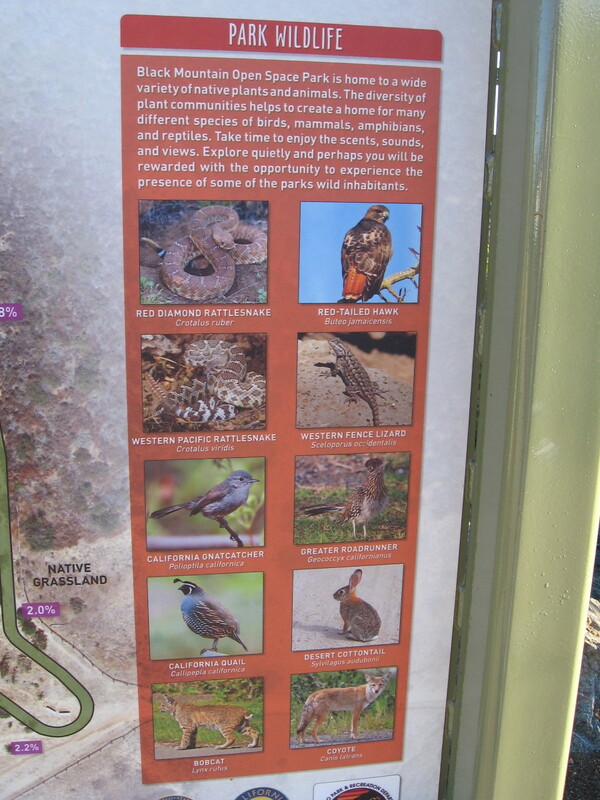 Animals one might spot along the trail include rattlesnakes, Red-tailed Hawks, California Quail, Greater Roadrunners, Desert Cottontails, Bobcats and Coyotes. Here I’m hiking down the easy Jas Arnold Trail For All People on Black Mountain early one Saturday morning. The sun had just risen and very few people were about. One of the benches and shelters along the Trail For All People. 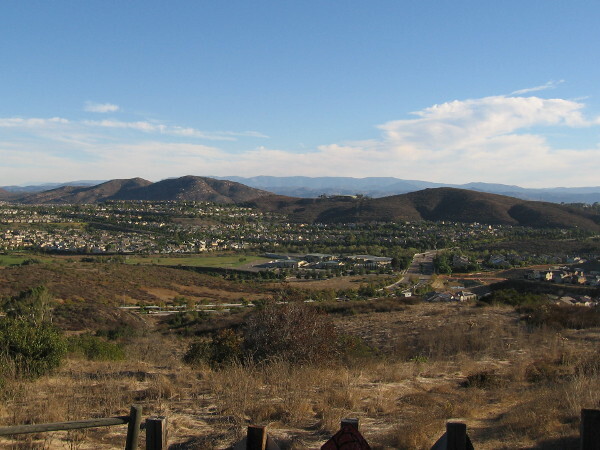 Views to the north include mountains and nearby 4S Ranch. 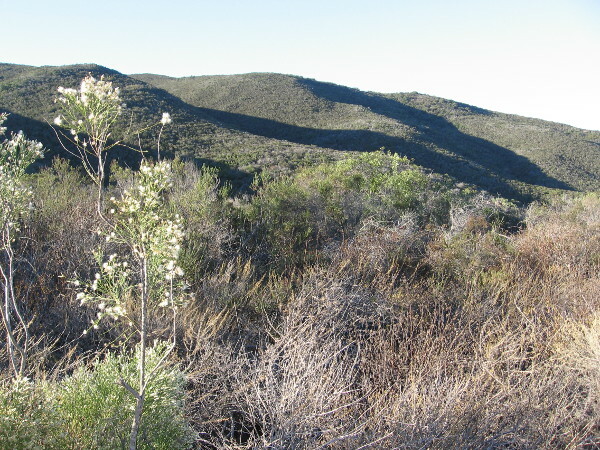 Looking southeast toward the chaparral-covered slopes of Black Mountain in north San Diego County. 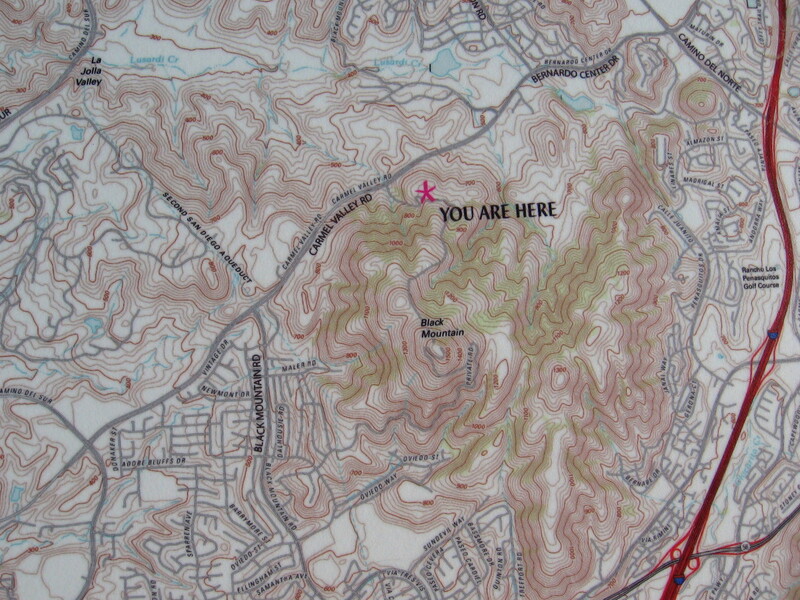 A topographical map shows the position of the Trail For All People in relation to its surroundings. 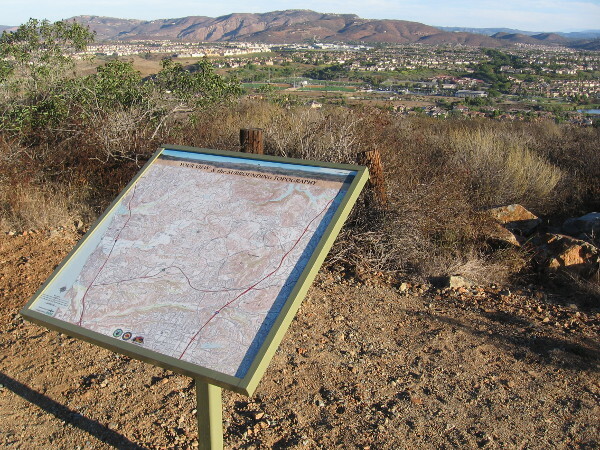 The Jas Arnold Trail For All People was built on a small plateau in the Black Mountain Ranch Open Space Park. 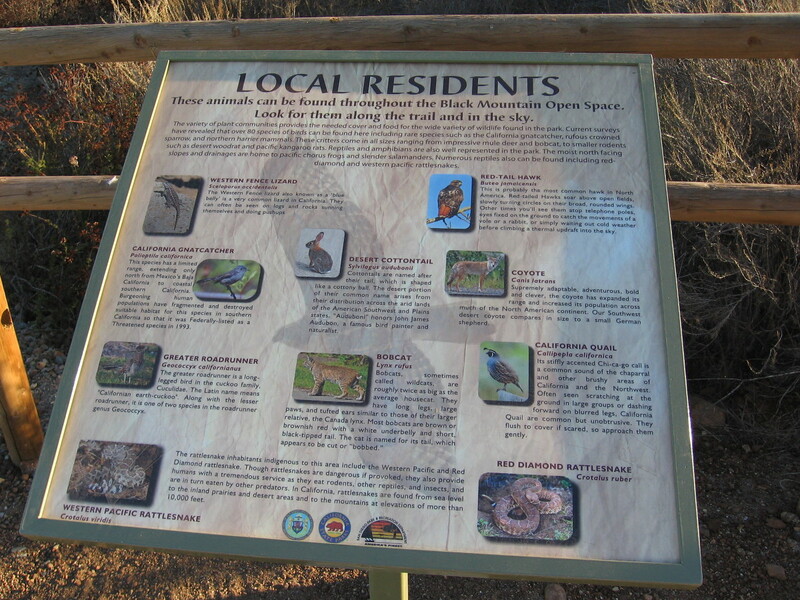 Another sign along the trail provides detailed information about some of the wildlife one might see. Another section of the relatively level Trail For All People. 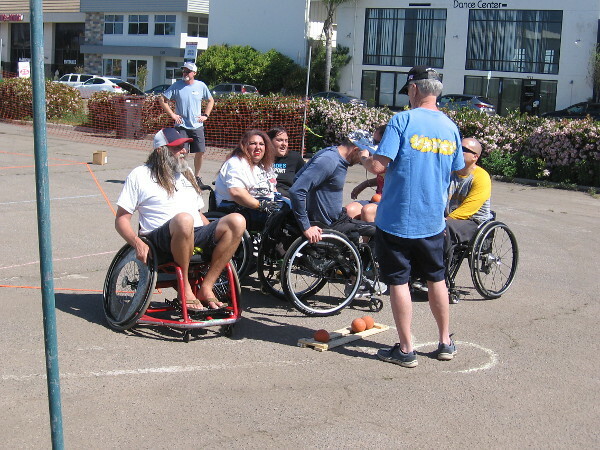 The easy loop is ideal for the mobility challenged and families with very small children. On warm days, bring water! One of many fascinating signs along the trail. 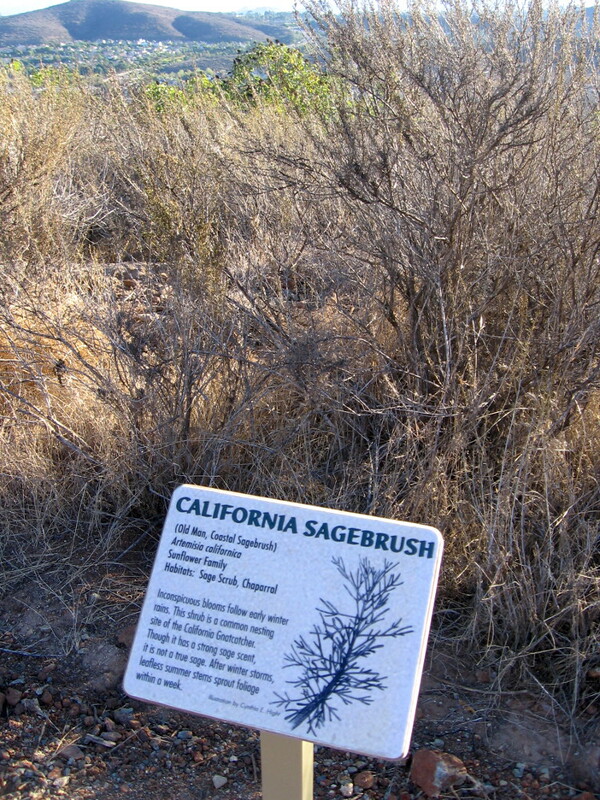 The smell of sage adds a pleasant element to one’s invigorating journey through fresh open air. 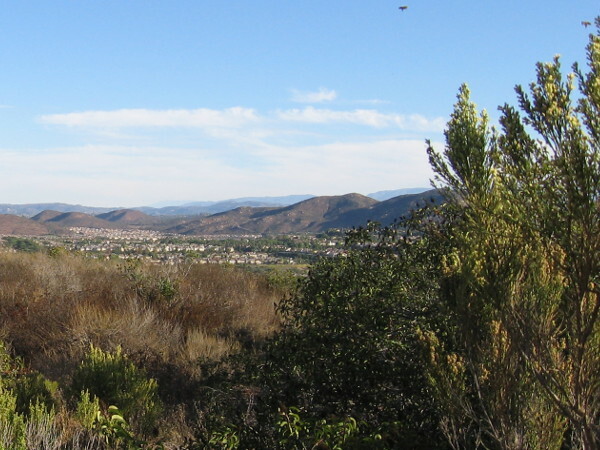 A pleasant view from the Jas Arnold Trail For All People on Black Mountain. The natural beauty, open spaces and sunlight make one feel happy and alive. 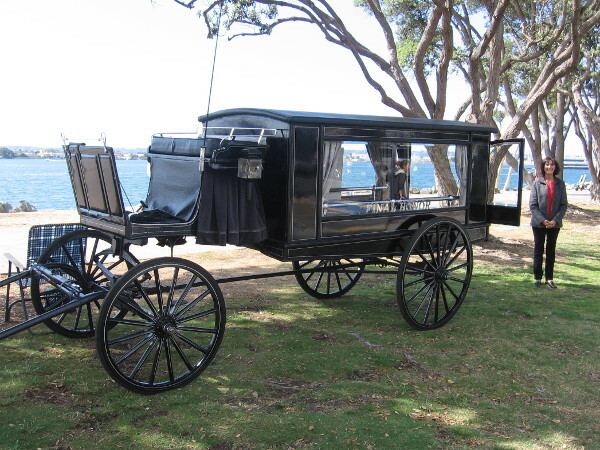 Posted on October 8, 2016 Tags beautiful, disability, life, mountains, nature, outdoors, parks, people, photography, plants, san diego, spiritual, walking, wildlife4 Comments on Beautiful San Diego hiking trail welcomes wheelchairs.